Welcome to the website of HAPSc! The purpose of this website is to familiarize you with the actions and work of our organization’s scientific entity. 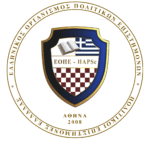 The Hellenic Association of Political Scientists, acting as a union representative, sets as its objectives the consistent representation of all the Greek Political Scientists and the cultivation of the scientific knowledge of its members. It is a model organization for the country, developing effective practices for the achievement of its goals. It facilitates significant work, valuable for the future, through the conclusion of international collaborations, the production of rich research material and the education of hundreds of young people annually. Why someone should dedicate time to the scientific dimension of politics? Politics constitutes one of the oldest forms of social activity. However, what makes it highly interesting is its essentially contested character and, in turn, the lack of one dominant definition about what politics really means. Different meanings given to this term are subject to ongoing debate, and quite often, to confrontation among political scientists. The dictionary of Cambridge University provides the following definition: “Politics is the total of government activities, the study of the forms in which a country is governed.” We can, possibly, say that politics is the notion of negotiation or compromise between the members of a society – regardless of whether we talk about societies of individuals, states or entities like organizations – in order to resolve their differences. Through engagement with politics, individuals are encouraged to participate in the making of a set of decisions. Modern political science explores everything that involves power relations (influence or enforcement) and exercises political function … everything that is related to speech production and binding work for various human collectivities and their institutional demonstrations. Therefore, political science revolves both around the function of the state and the transnational institutions, and the bases, dynamics, and effects of movements of contestation. In our country, even though the young political scientists deal with such a complicated subject, their possibilities of continuing building on political science outside the academic community are minor, despite important attempts that have taken place over the time. Unfortunately, after university, political scientists have to choose between the lonesome track of research, or a professional path led by partisan ideologies. This lack of professional flexibility is filled by the Hellenic Association of Political Scientists. HAPSc, is a Scientific – Professional Association and aims, through its operation, to bring new political scientists to the forefront of developments and to equip them with the necessary qualifications that will make them more competitive in the international and national scientific and professional arena. The Management of HAPSc functions on the basis of transparency, sense of responsibility and cooperation. I urge you not to hesitate to contact the page operators for further information. With my warmest wishes for creativity, progress and achievement of your academic and professional goals!